The teachers should help the students in the selection of subjects and profession in conformity with their aptitudes. The teachers should impart education in accordance with the natural tendencies of the students. They should use the methods of instruction which cope with the aptitudes and trends of the students. The teachers should point out the aptitudes of the students by means of aptitude tests so that they may design their instructional strategies. The parents should not force their children to opt those subjects which are compatible with their aptitudes and natural tendencies. If they are bound to do so, they would not be able to exhibit excellent performance in the field of education. The parents should provide the opportunities to participate in the activities which match with the aptitudes of the children. This is the only way to develop the natural abilities of the children. This is the responsibility of the state to established aptitudinal schools so that the students should be educated according to their respective aptitudes. Intelligence Quotient refers to the measure of intelligence computed by dividing an individual mental age by his/her chronological age. This number is multiplied by 100. They succeed in drawing the attention of the members of society because their cognitive abilities and insight. They hate strong inclination to research and observational ability in abundance. They have the ability to solve their problems without the, assistance of others. They are much involved in the educational activities and exhibit excellent performance. They are generally, hardworking, well-mannered, confident and tolerant. They are curious, inquisitive and creative. They perform excellently in various fields of life. They take part in the educational activities with full attention. They are keenly interested in the social affairs of the day. They have the ability of criticism and evaluation. They do not need continuous guidance and supervision. They have deep understanding of their problems. They exhibit average performance in every field of life. They need special attention and guidance from their teachers and parents. If these children are not given proper attention, they leave the school without completing education. Obedience is generally, observed in such children. They do not include their personal analysis during the act of obedience. They can get benefit of the learning process by means of drill method. They can be turned into semi-skilled workers. They are generally, inclined to crimes and anti-social activities. Their behavior and Conduct is normally a problematic for the society. They are unable to adapt themselves to the needs of the environment. They do not exhibit desirable educational performance. The teachers have to pay special attention to such children. An ordinary academic understanding can be developed in these children. Special educational institutions are established for such children. They have no real understanding of the social values. They are unable to participate in the productive activities. They can be made limited literate due to special attention. They have, in general, weak memory. They join school at the age of six or seven. They cannot dispose of a task with in the normal time duration. They demonstrate the abilities which are not corresponded to their chronological age. They have very limited lingual ability. They have no sense of social values. They cannot get benefit of the educative process. They can be taught only the simple objects by means of individualized attention. They have limited ability» of adapting to the needs of the environment. They are backward in all respects as compared to other students. 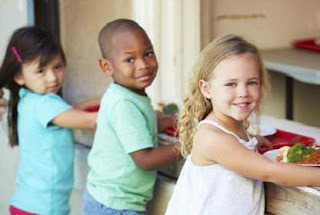 Some social norms, for example, hand shake, smile in response to an object, feel pleasure in response to see the objects the person likes and greet someone, are generally observed in these children. The study of individual differences allows the educators to adopt effective methods of teaching corresponding to the varied mental abilities of the students. 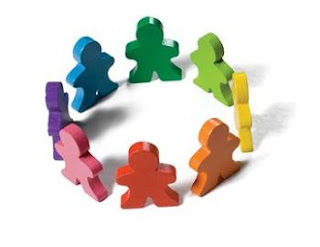 The study of individual differences enables the educators to apply a method of teaching keeping in view the students belonging to various socio-economic groups. The students vary in natural tendencies. Therefore, they have liking for particular methods of teaching. Likewise, they dislike some particular methods of teaching. The study of individual differences allows the educators to select the methods of teaching corresponding to their natural tendencies and inclinations of the students. All the methods of teaching have effects on the personality of the students. 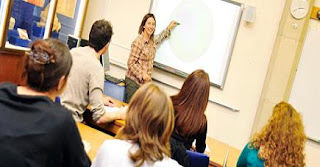 Some methods of teaching suit to the students of a particular age-group. On the other hand, some methods of teaching do not suit to the particular students. The study of individual differences enables the educators to get acquainted with the effectiveness or ineffectiveness of the methods of teaching for particular students. 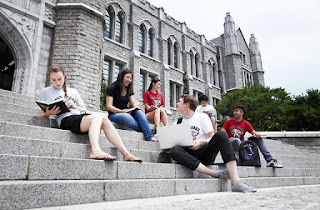 There is a collective attitude of the students of a particular educational institution. This attitude takes birth from the average of the individual differences of the students. This collective approach of the students enables the educators to select those methods of teachings which may ensure the acquisition of the instructional objectives. The individual differences of the students are taken into consideration during the selection of content and other curricular activities. They are the individual differences which decide and organize the curricular activities for a particular level of education. The individual differences and curriculum are inter-related. The study of individual differences for the curriculists is significant due to the following points. The study of individual differences guides the curriculists through the selection of content, activities and other behavioral skills corresponding to the abilities of the students. The study of individual differences enables the curriculists to develop a curriculum having the ability to meet the individual and psychological needs of the students belonging to various socioeconomic classes. 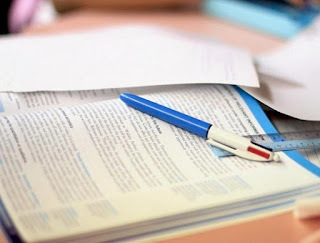 The study of individual differences enables the curriculists to organize the curricular content keeping in view the abilities of the students. The curriculists also decide which content would be taught first and which would be taught later. The study of individual differences enables the curriculists to evaluate the effects of the specific content on the students having varied mental abilities. The process of evaluation is conducted in order to get acquainted with those effects. The curricular activities must be compact and comprehensive. The study of individual differences enables the curriculists how to absorb the interests, tendencies and abilities of various individuals into the curriculum. The success of the learning process, largely rests on the individual differences. The instructional strategy can be better planned if the individual differences are taken into consideration. The individual differences provide the society those individuals which effectively work in various field of life. 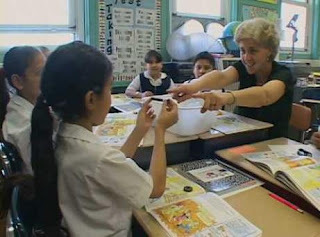 A teacher has to use different methods of teachings for the students having varied abilities. If the individual differences are taken into consideration, the instructional objectives could not be realized positively. The students of a class vary in mental abilities it is obligatory for the teacher to consider the cognitive differences of the learners so that the instructional objective may be acquired. The students are grouped for better instruction. This grouping is based on the individual, difference of the students. If the individual differences are ignored during the process of instruction, it would increase the instructional difficulties of the teacher. The individual differences help the teacher in maintaining discipline and order in the school. They allow the teacher to know the mental inclination and tendency of the students. They also enable the teacher to take necessary steps for making the students disciplined and law abiding. Individuals for Working in various fields of life are provided to the society by means of the educative process. The presence of individual differences in the educative process ensures the provision of the individuals capable of working in various fields of life. The children having the same heredity may vary in height, color, texture and face appearance. The children of the same parents may differ in intelligence. The differences in tendencies are not absolutely hereditary and inborn but sometimes, they may occur due to the environment. The children living in the same environment may vary in interests, liking and disliking. The differences in tendencies may be born in the environment. If the environment is irritating, the child will learn the attitudes of irritation. Environment plays an important role in the emotional development. Most of the individual differences are developed in the environment. They are generally, inborn and unlearned. Some physical differences are the results, of some incidents or accidents. Physical deformity, weak eyesight, weak hearing and short height are the general forms of physical differences. In most of the case, the physically-handicapped children are made fun by the others and consequently, they begin to feel, inferior to others. The physical deformity makes the students lesser hearted and detached. 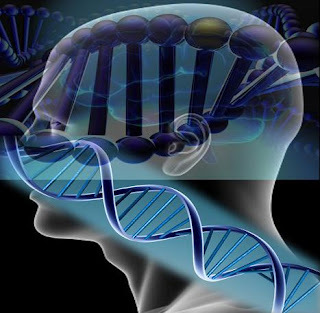 Both heredity and environment affect the mental abilities of the individuals. The intelligent students demonstrate excellent performance in the educative process. Generally, environment cannot turn the dull students in intelligent ones. The students of the same class vary in mental abilities. The differences in intelligence directly influence the educative process positively or negatively. The dull students require special education programs to be designed for them. The children vary in emotions. The intensity of emotions Varies among the children. Some children are not emotionally stable while others observe emotional control and peaceful silence. The emotional instability hinders the way to education. If the children are not given proper attention, they fall a prey to emotional complexities. The emotionally disturbed children disturb the discipline of the school and the society as well. The intensity of emotions negatively affects the physical and mental health of the learners. Aptitude refers to the present ability of the individual that indicate future success in a particular field or profession. This ability is not a learned one. For instance, a person’s typing aptitude prior to practice on a typewriter. The students vary in interests and natural inclinations. These interests and inclinations influence the educative process. Heredity and environment play a significant role in the development of interests and aptitudes of the students. If the Students are educated according to their aptitudes and psychological needs, there would be greater chances of the success of the students in the field of education. If the students select the subjects against their aptitudes, they would not be able to produce excellent educational results. If the children are allowed to work according to their own aptitudes tendencies the pace of the development of their abilities would increase. The students of a school belong to varied social groups and conditions. The healthy social conditions positively affect the educational performance of the students. The favorable and unfavorable social conditions equally affect the educational performance of the students. The living in the favorable social conditions can easily adjust with the school environment. The students, whose parents belong to lower social classes, do not have the guidance facilities from their parents. 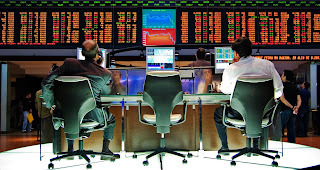 The students of a class belong to various economic groups and levels. The children of economically stable parents, generally, exhibit excellent educational performance. The children of economically backward parents, generally do not perform well in the field. of education. The students with economic problems may suffer in some mental and emotional problems. When the basic needs of the students are not fulfilled, they would not pay full attention towards their educational affairs. The children of economically stable parents take advantage of the available sources and thereby remove their educational hindrances. The individual differences in mental abilities, physical characteristics and traits of personality have been known for centuries. But in the recent years, the extent, causes and educational significance of individual differences have been studies and made explicit. The individual differences refer to the differences between persons on psychological and educational dimensions. Individual differences refer to the variations in characteristics or developmental outcomes between one child and another. Individual differences refer to variations in mental abilities and physical characteristics. 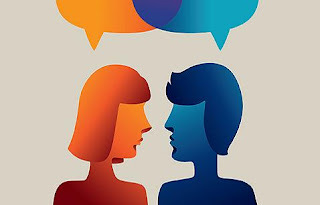 Individual differences are concerned with the ways in which people can differ from one another in particular gender, personality and intelligence. Individual differences refer to the vast range of variations that are commonly observable among various individuals. Individual differences are concerned with the deviations in mental or physical characteristics noticed among individuals who differentiate them from the average of the group. The relatively persistent dissimilarities in structure of behavior among persons or members of the same species. Individual differences are the stable and consistent ways individuals are different from each other. The variations in characteristics or developmental outcomes between on child and another. The individual differences refer to differentiation. These differences distinguish one person from the other. To me, the individual differences mean the differences between persons on psychological, social and educational dimensions. The branch of psychology which is devoted to a systematic study of individual differences is known as ‘differential psychology’. An individual’s behavior develops due to the harmony between heredity and environment. A renowned psychologist, Dr. Munn holds that heredity brings about the possibility of natural ability. This probable ability is provided the opportunities of development by the environment. For instance, a child is a born genius. Genius is a hereditary trait. This child belongs to a poor family. He did not find the opportunities of schooling. His natural intelligence could not be developed due to the inappropriate environment. Here we may conclude that the hereditary traits cannot develop without appropriate environment. Every individual strives for adjusting in such an environment for which he/she possesses relevant hereditary trait. For example, the people who have the natural ability of play writing search out the opportunities for drama writing training. If they are provided appropriate training their natural ability of drama writing may be developed and they may turn into genuine playwrights (drama writers). If they do not have the natural ability of drama writing, they could not have been turned into good playwrights. The hereditary traits and natural abilities serve as raw material in the development of personality and behavior. The favorable environment brings the natural abilities to the world scene and moulds them according to the needs of the society. For example, a child has the ability of becoming a good hockey player. But he Was not provided the balanced diet and training which was necessary for becoming a good player. So to say, he was not provided favorable environment and conditions. The unfavorable environment did not allow the hereditary traits to develop and the child could not become a good player of hockey. On contrary, a child had a lesser ability of becoming a player. of hockey as compared to the earlier. But he became a good hockey player due to the balanced diet, proper rearing and training. The favorable environment helped him in becoming a good player. A particular region produces players of hockey, cricket, squash and other sports due to the specific environment and conditions. Heredity is like a seed that has the probable ability of turning into a tree. If the seed is provided proper water, light and supervision the possibilities of turning the seed into a tree would increase. Likewise, if the hereditary traits are provided favorable environment and training, the individual would turn into concrete form of human personality. Training can turn an individual into a poet if he/she has the natural inclination for poetry. If he/she has not natural tendency for poetry, training would be useless for him/her.